Surprisingly, this is one project that a DIY Homeowner needs to weigh the pros and cons of installing anything on their own. Aside from the legal aspect of permits and licensing, we are talking about combustibles like gas or oil when it comes to heat, and of course, freon gasses on the cooling side. In this article on the DIY Reviews site, I want to talk about a rather large DIY Home Improvement project, the heating and cooling system, or HVAC, and the various ways a homeowner could find to save money on a new one! Installing your own HVAC system is no harder than replacing the engine in your own car! You need a lot of tools, a lot of knowledge about the task, and the willingness to accept that you may need to phone a friend for help! Unfortunately, that’s right about where the similarities end… While almost any handyman (or woman) “could” replace the entire HVAC system its not as cut and dry as that. There are a few specialty tools you may need and never use for anything else again (Vacuum pump, sheet metal break, etc) and of course there is that whole thing about dealing with harmful and explosive gasses. The bottom line is that when you decide to do your own hvac system installation, be prepared for several related costs you may have never thought of! In the end, you may not save that much money after all! Can Save 50% or More on the overall Cost! Serious… you are playing with gases, carbon monoxide, and fire here! There are serious health risks with installing the system wrong, which is why state and local inspections are required in most states! If you don’t know what you are doing, you could kill someone. I promise, you won’t get a free HVAC system out of it, but if you have a business or specialty of your own that may benefit the owner or the company, mention it and ASK if there is any way you can trade your own skills or services, for a partial savings on the labor of the installation! HVAC company’s need everything from office cleaning to sales & marketing flyers, to evening time cold-call appointment setters, van and equipment maintenance, washes, etc! The company owners, need everything that you need for your own home! From driveways to roofing, and everything in between… you will never know if you don’t ask! If you live on a main road with heavy traffic, offer to let them park an old van for 45-60 days, in your driveway! The bottom line… ask, you may be surprised! Don’t underestimate the power of cash! When the HVAC contractor hands you an estimate for $6000, ask him if he will take $4000, if you pay cash, immediately. When we say cash, we mean crisp bills, not a check or any other form of traceable income! Listen.. I know this sounds drastic, but cash is easily buried in a service company like a heating and cooling business and the owners look at cash as free bonus money for themselves and the employees. Cash walks 10 miles farther than any other method of payment in small to mid-size companies, and the warranty and protection is the same as any other method of payment! Get your invoice and you are covered. If all else fails you just cannot afford the high price installation of a reputable company, you may be able to find someone willing to install a system you purchase on eBay or another heating and equipment website online. Cheap labor might make a 25-40% difference in cost, but it does come with risk. Cheap Labor usually means no labor warranty, if it breaks, its yours! You will have a hard time getting two-guys-and-a-van back to your home in the future, if you can find them! Buying the equipment online usually means the manufacturer warranty will be voided as well, unless the installers are factory approved and licensed. If using cheap labor to install your system is the only choice, check on Craigslist for your hometown, you will easily find a handyman who is willing to install your system for you! The state of Florida just announced a $1500 HVAC rebate on high efficiency equipment as long as you choose a qualified system and use a qualified installer! These types of rebates exist in almost all 50 states and you just need to to find them! Surprisingly, not many people talk about contacting your local utility company and asking for rebate information, but almost all of them offer energy saving rebates for high efficiency or energy star appliances. Gas furnace, air conditioners and heat pumps are very much included in that mix! Call your local Utility company and ask if they offer rebates! Ask them for any special requirements. Ask them for information on submitting the rebate forms. 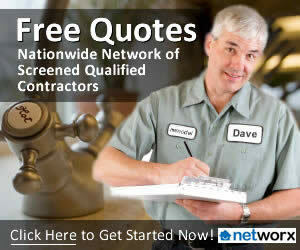 Have a qualified contractor install your system and file the paperwork for you!! Most local gas or electric companies are going to require that you follow the letter of the law if you want to take advantage of their rebates. Make sure you use only a qualified contractor, pull all the right permits and get all the right inspections, otherwise you may not qualify! Manufacturers like Trane, Carrier, Lennox and several others often offer seasonal incentives to both dealers and buyers, in order to prompt buyers to move to their brand, or buy now! The pages below lead right to the manufacturers promotions pages. Many other brands offer special promotions that are available to there dealers, make sure you ask your own dealer if they offer any special incentives at the time of your quote. In the comments section below, please add your suggestions or tips to save money on a new HVAC system! Great tips, I will share them with my staff.